A flag officer who has led the effort to supply all aircraft carriers with Torah scrolls just got nominated for a second star. 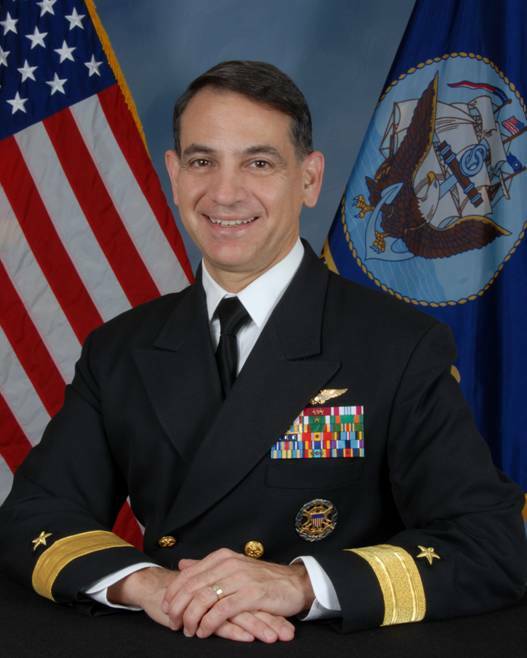 Rear Adm. Herman Shelanski is commander of Carrier Strike Group 10. Shelanski also will receive the Jewish Military Leadership Award at the JCCs of North America Biennial in May 7. In its announcement, the organization noted Shelanski’s support for Torah for Our Troops, a Jewish Welfare Board/Jewish Chaplains Council initiative to commission lightweight Torah scrolls for chaplains to use in the field and as they move throughout the fleet. The Torah is Judaism’s holy book. The Torah scroll includes the first five books of the Hebrew Bible and Christian Old Testament: Genesis, Exodus, Leviticus, numbers and Deuteronomy. 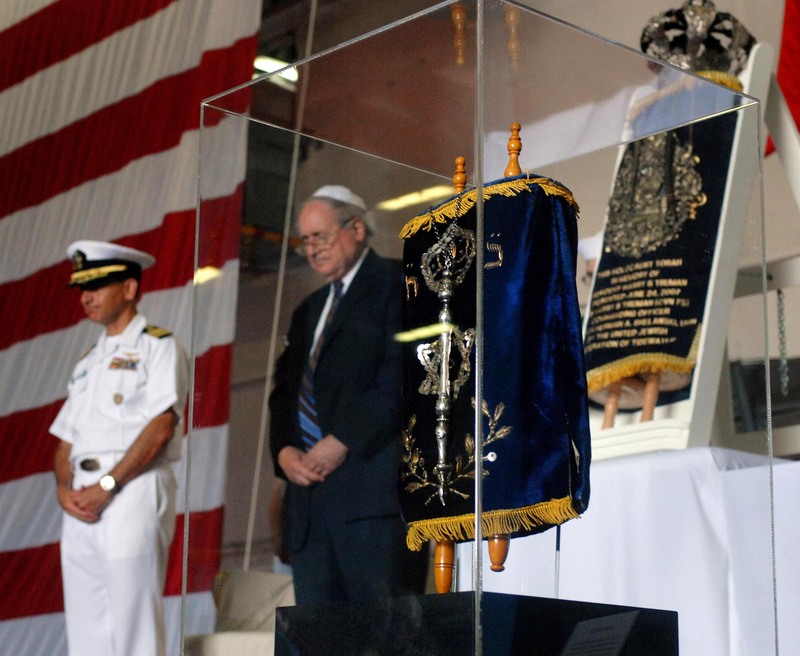 When he was commanding officer of the carrier Harry S. Truman in 2007, Shelanski received a Torah recovered from the Holocaust on the ship’s behalf. The scroll was dedicated to the carrier in honor of the 33rd president’s decision to recognize the newly-formed state of Israel in 1948. Bravo Zulu, Admiral. Or should I (use the Hebrew and) say “Beit Zayin, Admiral!” Kol hakavod (literally, “all honors to you”).